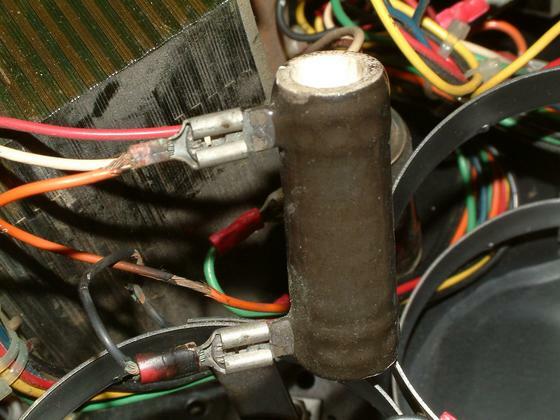 The brown power resistor has been dismounted to allow the wires to be replaced. The red plastic on the upper terminal disintegrated when moved. You can see the wire has also corroded from the heat.